“Peter, you’re on tv!”. Now, our tv isn’t switched on a lot, so we quickly turned to NPO3. ‘Sophie in de Mentale Kreukels’ is on. For those unfamiliar with our Sophie Hilbrand, she is quite well-known for addressing all different kinds of societal taboos. And whilst I was attending a convention in the Vlietland hospital in dedication to ‘Week of the Ear’, Sophie was there for her shows’ recordings. Today she’s discussing challenges and mental problems related to stress. And sheds some light on one of the main reasons our work at Earproof is so important, ‘tinnitus’. This episode features me and some brief statements about living with tinnitus, a real challenge, which is proven to me daily. In the aftermath of the show, people in my network have been approaching me with the same questions. In that regard I’ve put them on paper to answer everyone and hopefully spread even more awareness. I didn’t know you had a beep in your ear? I’ve never heard you mention that before? For starters, people suffering from tinnitus don’t usually go around shouting it from the rooftops. It’s bad enough having to go day by day with a high-pitched whistle in your head, I try to distract myself as much as I can. Do you hear it all the time? Absolutely. It never gets quiet. Not when I travel, not when I eat, not even when sleep. It’s exhausting. I never wake up fully rested. My brain is simultaneously producing and processing the sound at the same time. This results in a constant state of stress because your brain senses a danger signal. 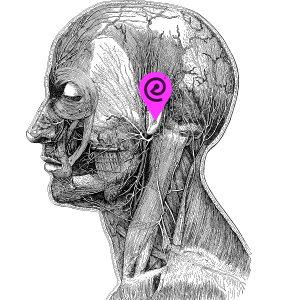 Is tinnitus the reason you started Earproof? No. My symptoms began when I already had started Earproof. To be honest though, the tinnitus has motivated me even more to continue Earproofs mission. Everyone should use earplugs to prevent tinnitus or hearing damage. How does your beep sound? Difficult to say. If you have ever experienced a beep or whistle after a night out, you know what I’m talking about. It’s loud, high-pitched and f*cking annoying. Night after night I would come back from nights out at Roxy Amsterdam with this beep. “Great night”, I would think to myself, not knowing you can experience this all the time 24/7. This tinnitus is caused by a disruption in the nerve transmission. The hair cells’ functionality is damaged and can’t recognize their function. This leads to confusion in the brain and thus to the brain starting to produce the sound itself. This is also known as a ‘phantom sound’. As far as we know there is no cure for tinnitus. Sometimes the symptoms decrease a little, but it doesn’t fully disappear. My credo is to protect your ears so you don’t get into trouble of some sorts! Doesn’t it drive you completely insane? Not anymore. I have accepted and embraced the beep. It’s part of me now. But when I die I hope it to be; ‘and all was quiet’. Seriously, If I’d known wearing protection for your ears would prevent tinnitus, I would’ve paid ten million to get earplugs. Now my mission is to at least save ten million ears. Learn more about tinnitus and how to protect yourself against it.